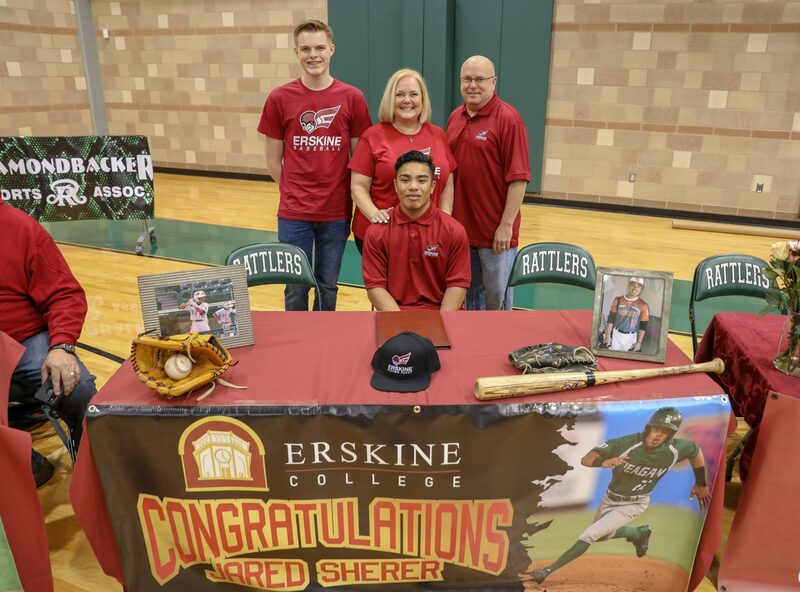 February 6, 2019 – As part of National Signing Day, Baseball’s Jared Sherer signed his commitment to Erskine College in South Carolina. Celebrating today with Jared were his parents, Eric and Jane Sherer, his nephew, Payton Forbes, and hid godfather, Henry Pena. You can follow him next year @FleetBaseball. We look forward to watching Jared’s continued success at Erskine!